Use small cookie cutters to make all kinds of fun shapes in these giftable cookies. Spread almonds on a rimmed baking sheet. Bake for 5 to 10 minutes or until toasted, stirring once. Cool. Place almonds and 1/4 cup brown sugar in a food processor. Cover and process until finely ground; set aside. In a large mixing bowl, beat butter on medium to high speed for 30 seconds. Add remaining 1/4 cup brown sugar, baking powder, salt and cinnamon. Beat until combined, scraping sides of bowl occasionally. Beat in egg and vanilla until combined. Reduce speed to low and beat in almond mixture and as much of the flour as you can with the mixer. Stir in any remaining flour. Divide dough in half. Cover and refrigerate dough for 2 hours or until easy to handle. On a lightly floured surface, roll half the dough at a time to 1/8- to 1/4-inch thickness. Using a 1-1/4-inch square cutter, cut out cookies. Place 1 inch apart on ungreased cookie sheets. 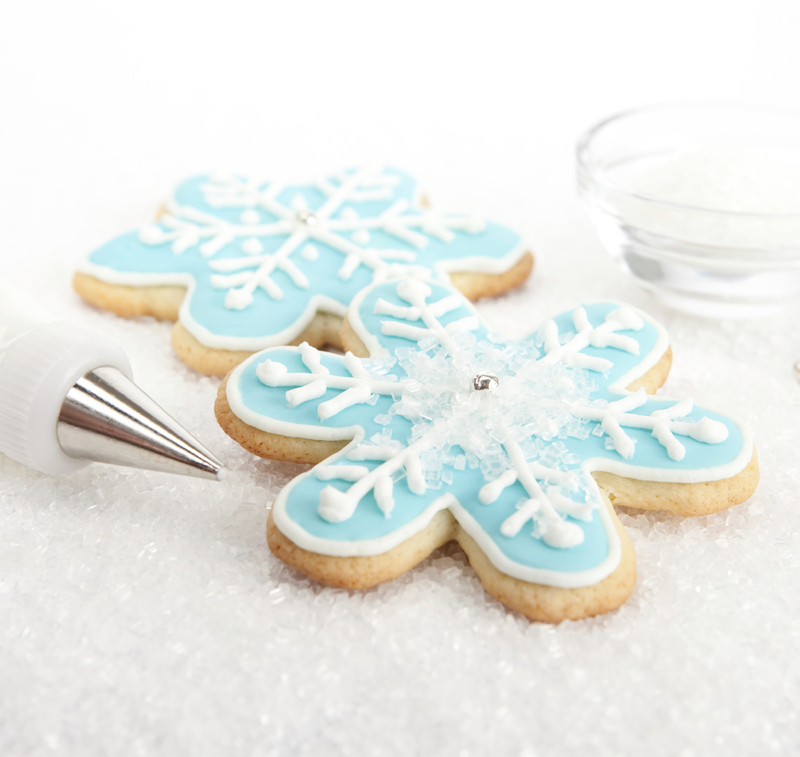 Using 3/4-inch cutters, cut desired shapes from centers of half of the cookies. Reroll scraps as necessary. Bake for 6 to 8 minutes or until edges are lightly browned. Cool on cookie sheets for 1 minute. Transfer cookies to a wire rack and cool. Sift powdered sugar onto cookies with shapes cut in the middle. Spread a small amount of preserves over the flat sides (bottoms) of the cookies with no cutout centers. Top with powdered sugar-covered cookies, bottom sides down. Serve within 2 hours. To store: Layer unassembled cookies between sheets of waxed paper in an airtight container. Cover and freeze for up to 3 months. To serve, thaw cookies. Assemble as directed.